I can’t take any of the credit on this brilliant boating idea, it was passed on to me by Windtraveler and think it should be shared to all. For the longest time I was keen on getting my hands on as many of the Atlantis-hotel type towels as possible. (Anyone who has sailed through Nassau, Bahamas and stopped at Atlantis knows exactly what ones I am talking about.) They have a great nautical feel for a boat, being that they are aqua and white stripes. But a year or so later, after acquiring a few, and load after load of laundry, most of the times being full of bulky towels, I had had enough. You can’t properly hand wash a towel, and so most of our trips to the laundromat were because of these annoying things which I had amassed. And the smell that a towel holds if it gets wet and doesn’t dry quick enough, yuck. It’s a sour mildewy-disgustingness that I can’t stand. This year my amazing friend Brittany put me on to Turkish/Hammam/Fouta towels. Call them what you want, they are nothing short of genius and I am working on getting more and more of these and slowly fazing out (or throwing out) our regular towels. 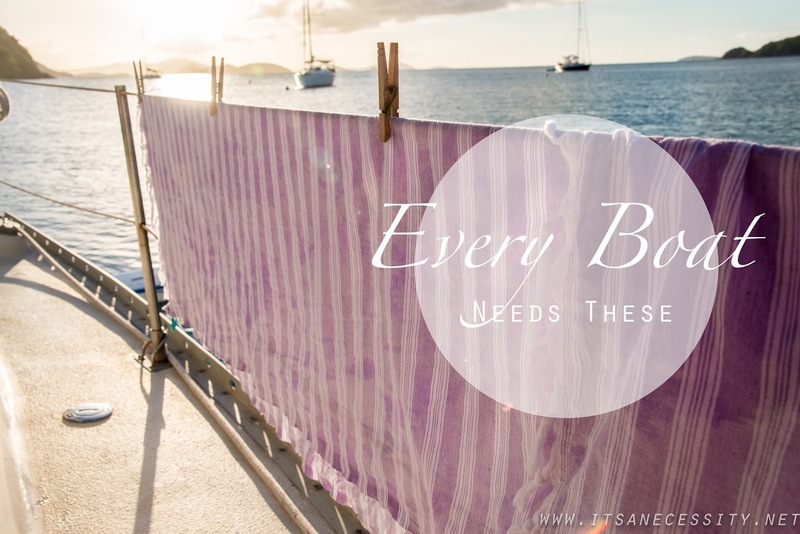 These towels are thin (ie take up much less storage space in your closet), super absorbent, dry extremely quick (30min on our lifelines), and can be used for a ton of things (beach blankets, bathing towels, sarongs, tablecloths, bedding, you name it!). They are so useful to have onboard. We have gotten our hands on a few different brands and there are some that I thought were worth mentioning, in case you were thinking of going out and buying some for yourself. These towels are wonderfully huge. I really didn’t expect them to be bigger but they are about a foot longer than all the other towels we have received. Why does this matter? It makes it so much nicer when both girls can sit on it at the beach and have enough personal space to not be yelling things like, “Arias is breathing on me”! It also makes for a more comfortable body wrap. You can surround yourself in these and have enough extra length to make sure that you are properly tucked in and fully covered, not leaving a slit of skin showing. 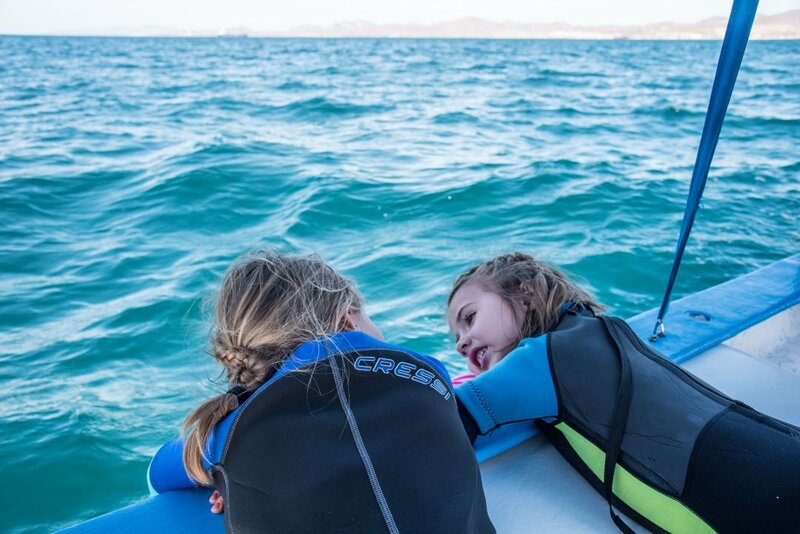 Sounds weird but that extra wrap length gives you more peace of mind that your wrap won’t totally fly open when you are on deck, showing the neighbouring boats your goods. Also, the colors of these towels are so vibrant, they make me happy just looking at them. They make you want to wrap yourself in them, giving you some extra points on the “cute” scale. UPDATE: These have become our go-to towels for the beach. That larger size of them is ideal for a beach blanket and towel. It also makes it that I can dry off one kid and still have plenty of dry towel to dry off the next. And an added bonus, they come in these nifty wet bags (see pic below) that you can throw bathing suits or wet towels into after use. I love the bags and always have one in my backpack just in case. 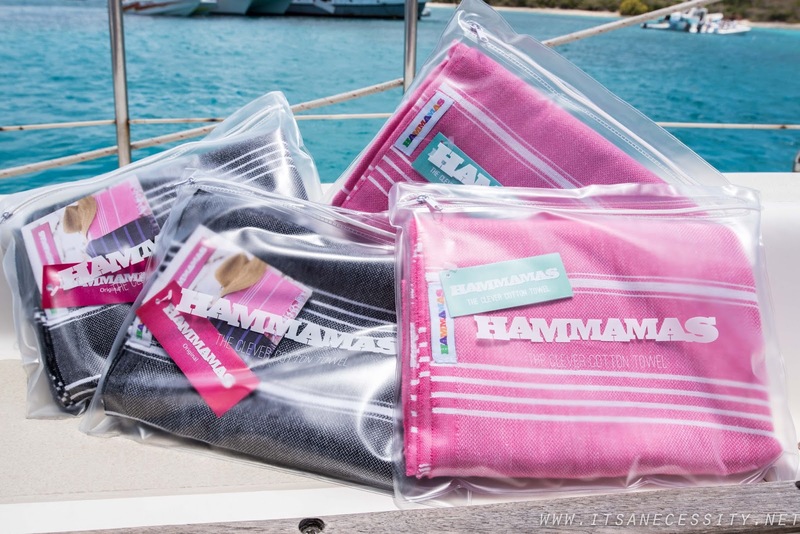 We have also started using our charcoal hammamas towel for what we call “the dirty girl towel”, where the girls sit to eat meals. It catches the mess rather than our settees. The thinnest of our towels, we love them because they are SO packable. They fold up into beautiful little bundles and can be stowed in any size purse or bag. We have one of these everywhere we go. I don’t know what sort of magic they have woven into these towels, but even with being so thin they are super absorbent. Forget the bulk of big beach towels, these are all you need. 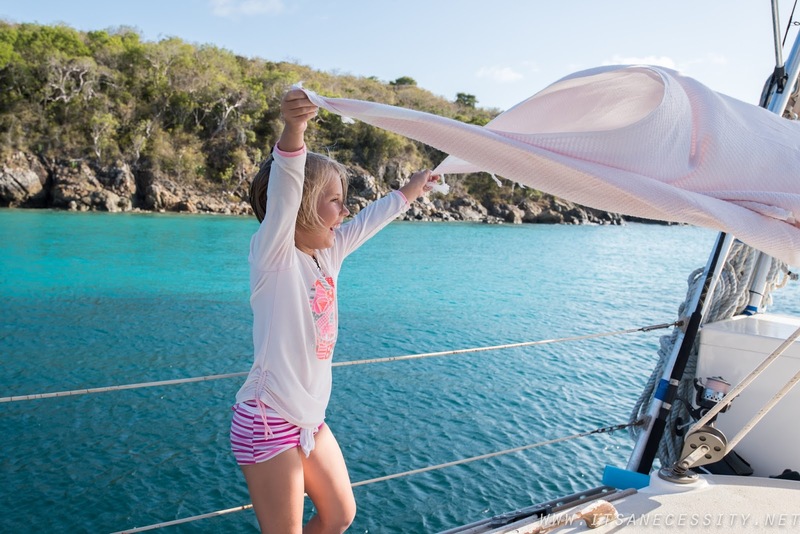 And another bonus of them being thinner is that our girls love to use them as blankets and I don’t have to worry about them getting all sweaty in the midday Caribbean sun because they are extremely breathable. To top it all off, they are CANADIAN! I love supporting local businesses in their endeavours, and these guys are making some waves, rightfully so, their stuff is awesome and wonderfully versatile. UPDATE: We love how thin these are. 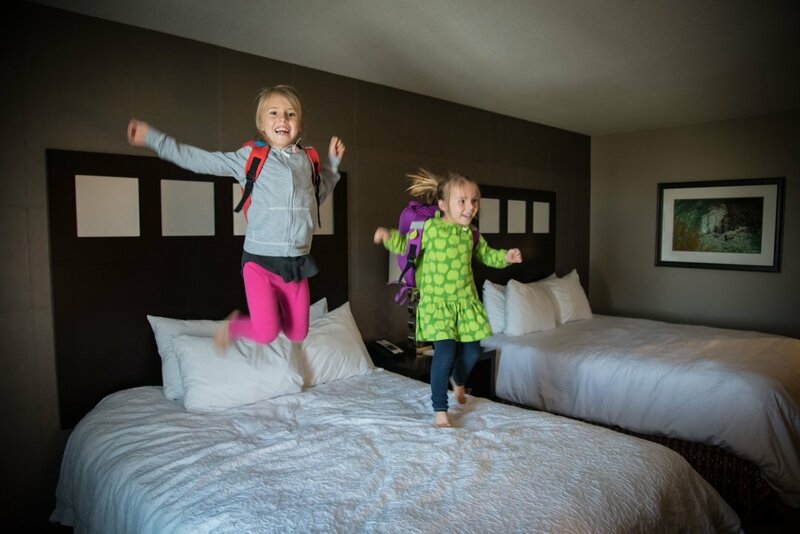 We use these ones when we will be traveling around on land for a day because they fold up super small and fit nicely inside a purse or small backpack. 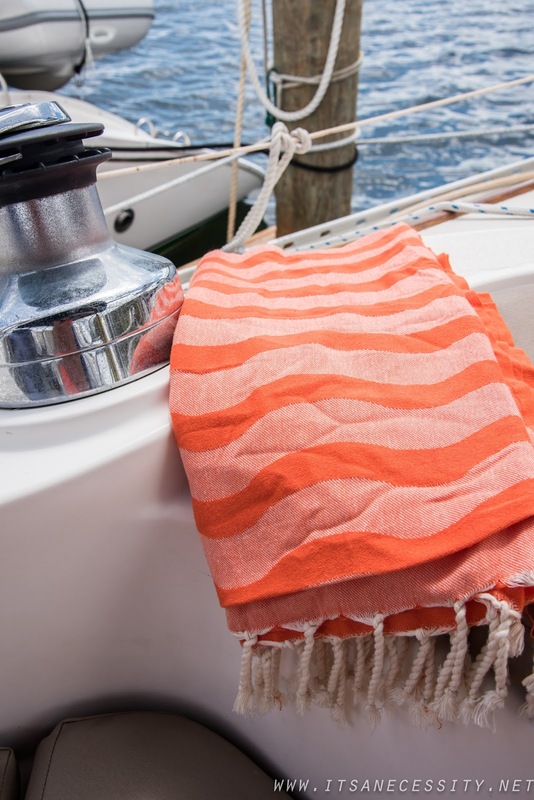 On top of the above mentioned awesome reasons why everyone should get Turkish towels, this company also makes them in Bamboo. They are sooooooo soft! We have separated most of our towels as salt water towels and fresh water towels, and these guys definitely fall into the latter of the two. 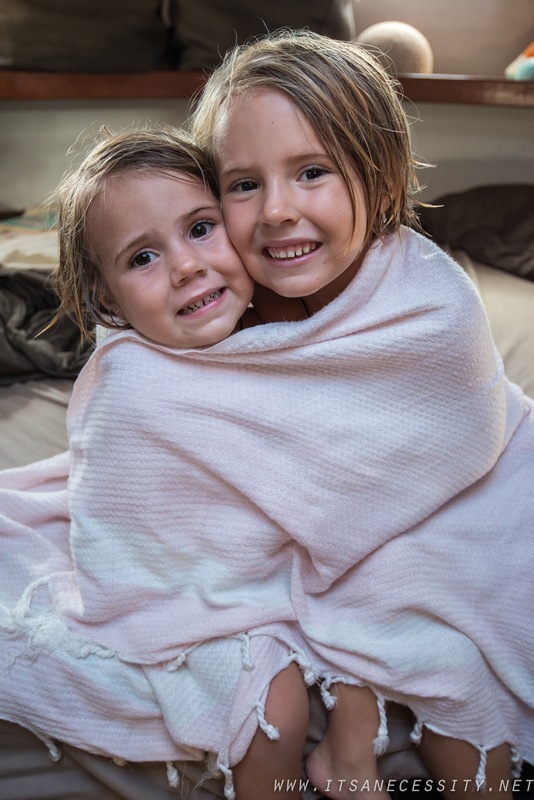 After you are so fresh and clean from your shower you will love wrapping yourself up in their bamboo towels. And we have not once had any sort of damp smell come from these towels since they dry so quick outside. Funny sidenote: When we went on our rickshaw run in India I packed our two Cotton & Olive towels to come with us, for what I thought would be our towels, but ends up we used them as additional bedding when we slept in dodgy hotels where the sheets were questionable. I was beyond glad that I had them in tow. UPDATE: Still the softest of them all. These towels we use after our fresh water showers. I would recommend these if you have little ones that will appreciate a soft drying off, or if you want to spoil yourself with some comfort. Another “after shower favorite”. I can’t even find the words to describe how soft these are. They feel like a comforting blanket, or like clouds, or like fuzzy kitten fur. Whatever, they feel wonderful. Their downfall? (which isn’t really one!) You know when you have something so nice that you are afraid to use it, because you don’t want to wreck it. These fall into that category. It took me about a week to even pull them out of their nice tote bags because I was scared they would never be that beautiful, soft and perfect again after our kids got their hands on them! 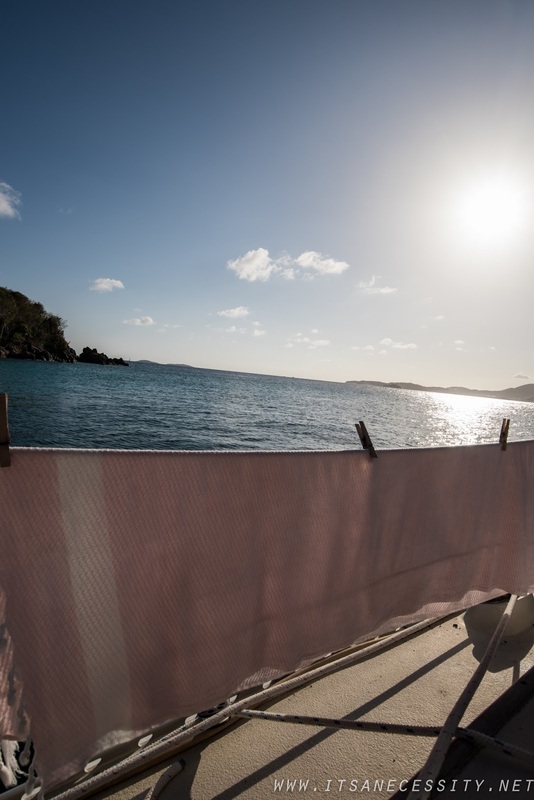 Although I could see these towels being used for so many things, beach towels, yoga towels, scarves even, we have reserved these for our bath towels too. After I wash my face every night there is nothing else that I want to use to dry it off other than the Doga. I do wish they made them in different colors, maybe this will be in their future as this small/new company expands, but for now their choice of off-white gives a luxurious appearance to them. One day I will get the nerve to take them to the beach and test them there, because their specific weave was engineered so that they don’t collect sand. We’ll see! UPDATE: We still haven’t taken these to the beach because they are my favorite of our towels, due to their softness and absorbency, and I just want to keep them for after our showers. (I do still think they should have some other colors though), but none the less, my faves. We didn’t have these towels when I did the original review, they got lost in the mail. But I am so happy they have arrived. 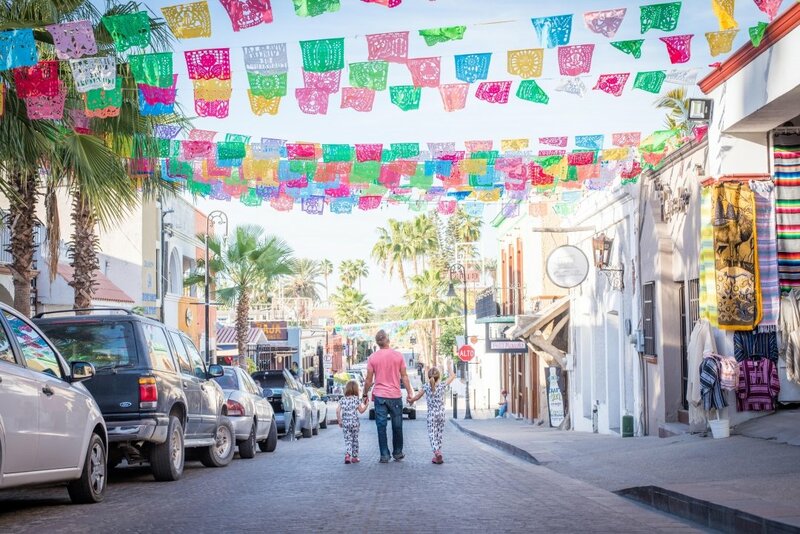 These foutas are definitely the most beautiful of them all. 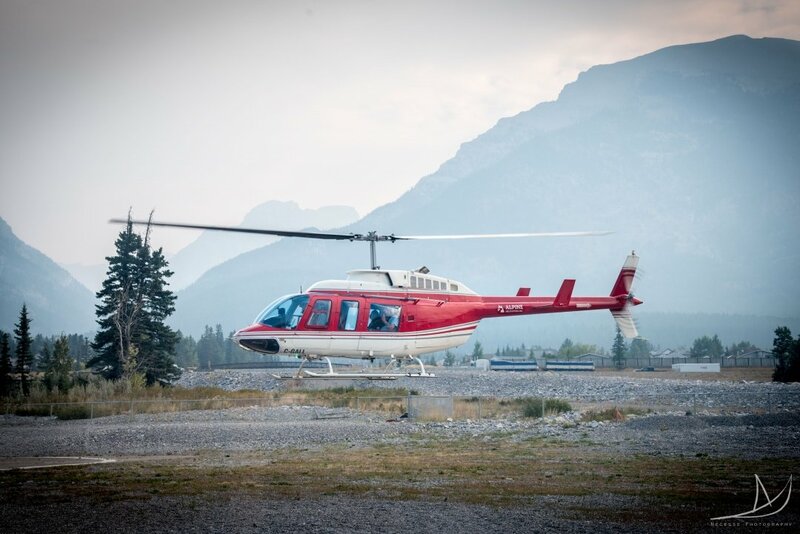 Visiting their website can be heaven (or overwhelming) because there are so many options that you will struggle to choose just a few. Because of their price point I would recommend these towels as a gift, either for someone else or for yourself. They are a gift worth giving. 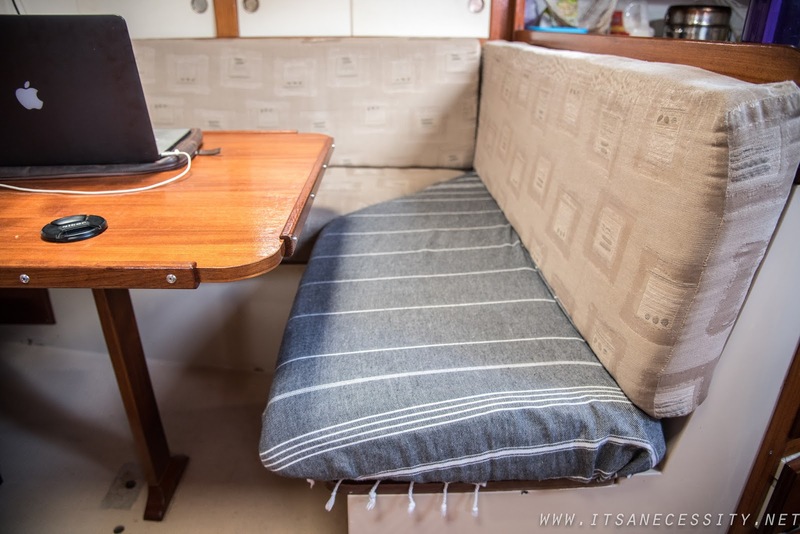 With all the different designs and weaves you can buy the perfect fit for any home, or boat. Sidenote, they do feel a bit rough when you first receive them, but once you have put them through the wash once they soften right up and their absorbency doubles. 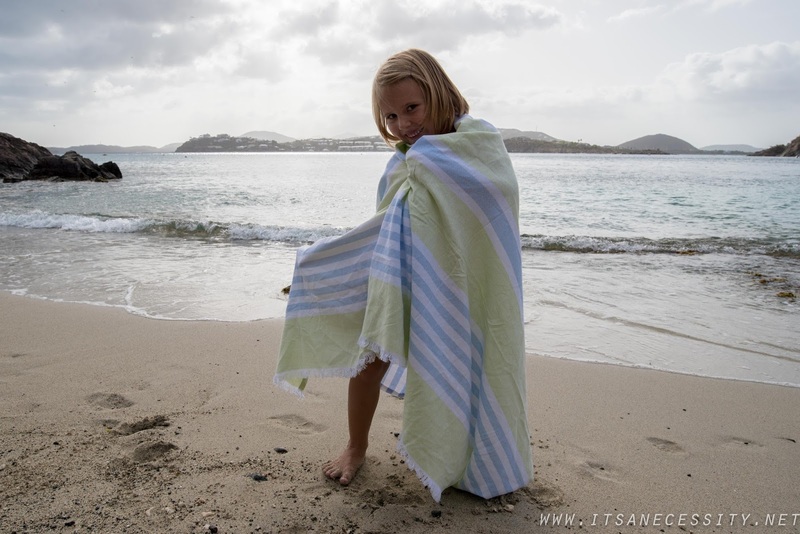 These towels are meant for the beach and were created with that Beach Mentality in mind! 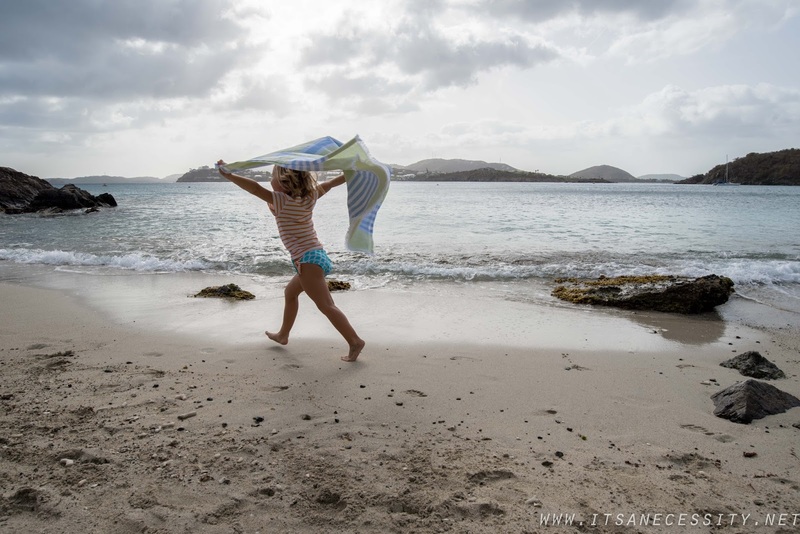 This company combined all the amazing aspects of the turkish towel and then added a removable pillow, for all those times where you want to chillax on the beach while the kids run free. 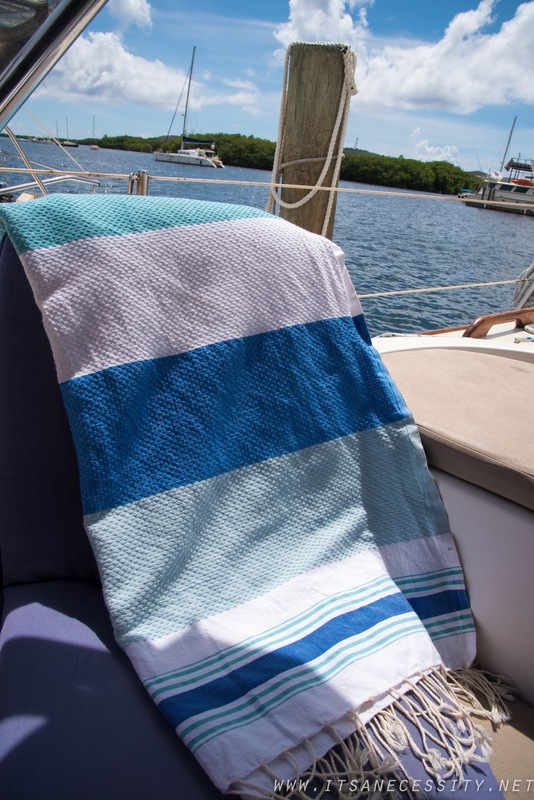 You can use this one as a comfy (and head supporting) beach blanket, or remove the pillow and use it as a towel and beach wrap. 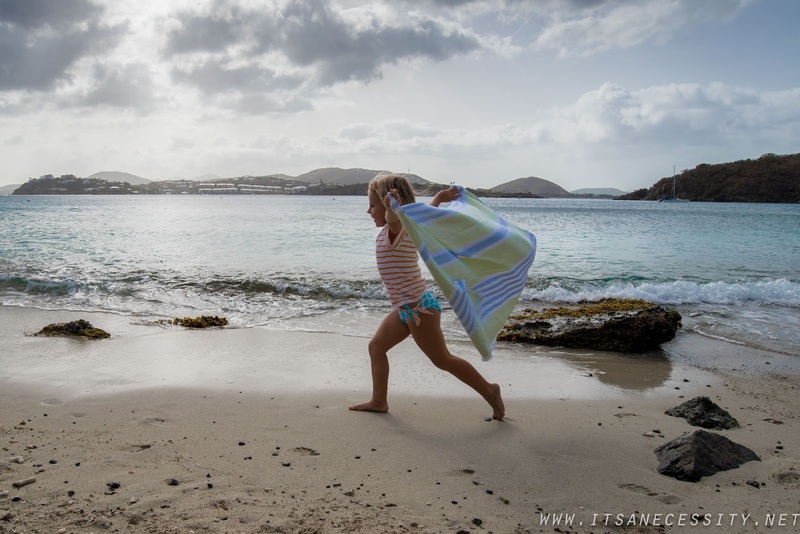 It is our #1 towel that we grab when we head out to enjoy the sand and sea. And to make them even more amazing, Sand Cloud gives 10% of the net profit of each sale to protecting marine life. UPDATE: The towel for the beach. It is nice that it has that built in pillow, but we don’t use this one for much else than laying on the beach. The absorbency is so-so and the material feels more like a low quality bedsheet. But the pillow towel is a cool twist. Lastly, if you are looking at buying a few turkish towels and not interest in some of the prices of the ones above, I have seen these towels by Bosphorus (6 for $64) and this brand Cacala, which I would say are quite comparable to the Hammamas mentioned above (good size, great colors, good absorbency).I hope you feel as liberated as I did when I stocked up on turkish towels and threw away our “traditional” towels. It is freeing! Great tip, thanks! Bamboo is also very environmentally friendly, that is a bonus! The bamboo ones are really nice, and a lot of boaters use bamboo products because they attract mildew less than other materials. Super handy on a boat. I think that's the best excuse EVER to head over to Istanbul and go to the Grand Bazaar! What great timing! I just ordered 2 this weekend, and am waiting on them to show up. I only ordered 2, as I had not heard much about them and wanted to check them out. Will check out the additional companies you listed since it sure sounds like I may want to pick up a few more. Thanks for sharing! I've never seen towels that look that comfortable! I'll have to check these out for myself. Such beautiful pictures! Thanks for sharing! Who would have thought our Turkish "peştemal" would be so popular. If you are sailing, I recommend you set a course for Bodrum to pick some up. Hey Genevieve! 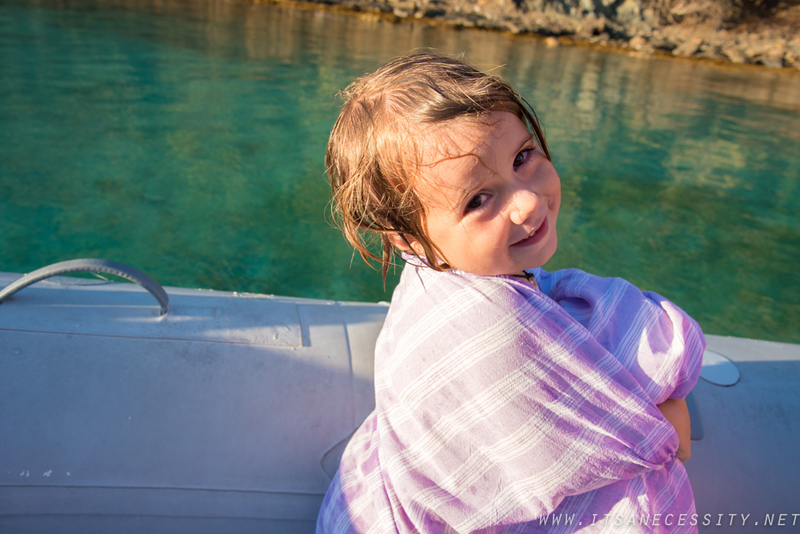 We are still using traditional bath towels, but struggle with them getting stinky too quickly (especially while cruising in Canada where it's been more cold and damp). 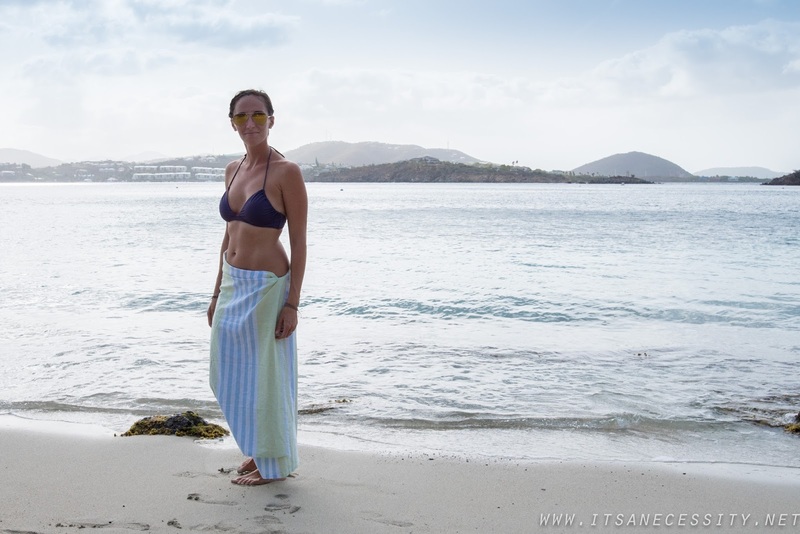 Do you use the bamboo towels for yours and Eben's bath towels? How often do you find yourselves washing them? And while on the subject, what do you use to dry the dishes? Hi Amy, sorry it took me so long to get back to you. 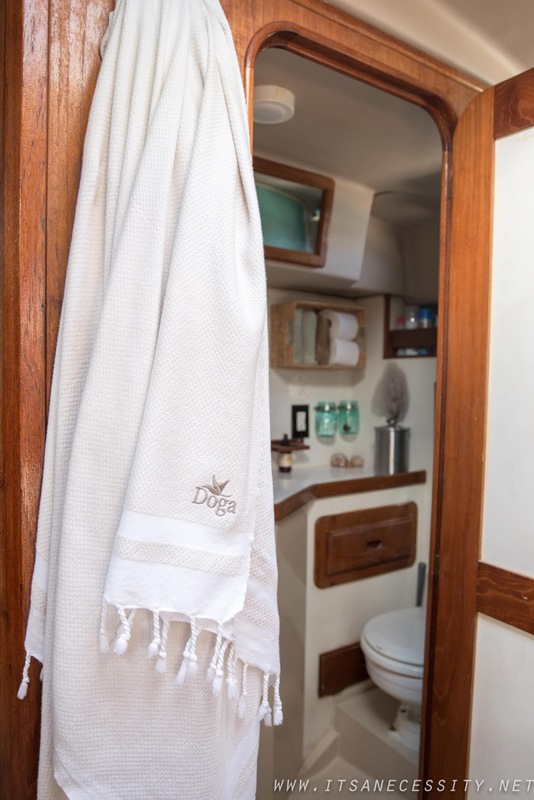 We use both the bamboo towels, and the doga towels as our favorite bath towels. But honestly sometimes its just whatever towel i put my hand on when I am rushing off to the shower. We use them several time before we feel the need to wash them. I can say that we get over a week of use in each one. Which is way better than regular towels. (and that's with our whole family using only 2 towels a week, one for eben and i and one for the girls). For the dish towels we currently just have regular dish cloths, but those get stinking fast too and I am thinking of switching those out for turkish ones as well. I know Windtraveler uses them for their dish towels. I believe they use both these: http://fave.co/1KZX1Pb and these: http://fave.co/1KZXbGm. I ordered 2 of the DOGA towels while they had a buy 2 for the price of 1 sale. They arrived and feel great. I started at the top, now wonder what the others will feel like! 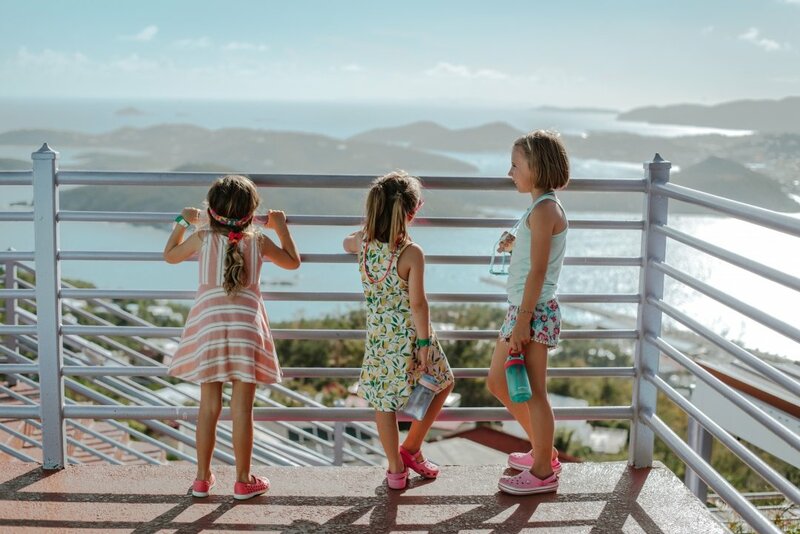 May order a few of another less expensive brand for taking off the boat to the beach. Thanks for all of this information! Hey Steph, I think that for heavy usage and a towel that wont go through the gentlest wash cycle you are probably best off with the Bosphorus or the Hammamas. For the cost, I would lean towards the Bosphorus because they don't "feel" cheap, we have friends that use only those on their boat and love them. 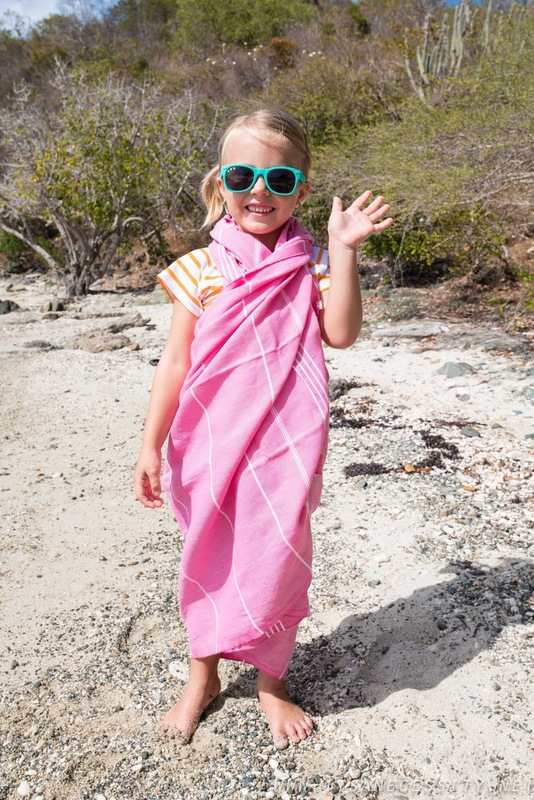 As for the Kokoy towels, they have that type here in Tanzania, I spotted them our first couple of days here and have been trying to wrap my head around how I can convince Eben to let me buy 1-2 before we go back to the boat! LOL!